Interesting my copy of this is on a Quiex II type vinyl. It looks black and opaque in normal lighting but when put up to a lightbulb it turns a translucent grey. Neat! Anyone else notice this? This record is unbelievable. There's no way to describe it. 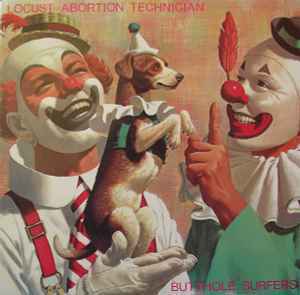 And yes...it is quite likely the best record ever made by man or beast. This is definitely the best buttholes record, absolutely off the goddamn chain. Whether it is therefore the best record ever by man or beast is quite likely.